...espio, you're online. you know the field model name for the save point? I WANT YOUR BRAINS! BRAAAAAINS!!!! Shading! Paint some shadows on her shirt and she'll look much better! As far as the rendering goes. 3DSMax does not figure out your Shaders for you. 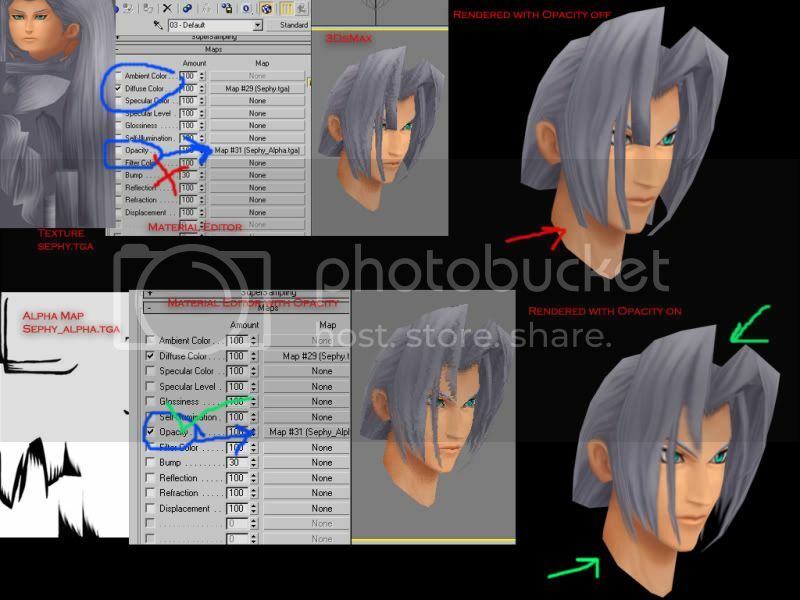 You have to tell it what to do in the material editor (Press M)... Alpha Channels - (The transparent parts like his hair) only works if you have a separate file that's black and white. White means it's opaque and black means it's transparent, grey is half way. Let me demonstrate real quick. 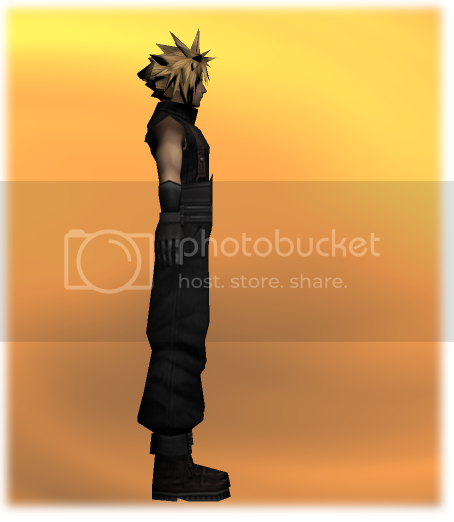 apzfreak, they are probably using the PNG textures which contain alpha directly, because our exporters didn't bother splitting the alpha channel into seperate images. But Opacity should still have worked. I wonder if it is an issue with double sided faces? a little, Aya has a different hairstyle though, much longer hair. I modified Cissnei's face (strangely they both really do have the same eye colour ) and fleshed out the hairstyle. I wrote out a response but it seems it wasn't posted? Anyways let me explain myself... again. As far as I'm aware, 3DSMax 7 and under doesn't use the alpha in the textures as alpha for rendering. There's nothing I can do to get an texture with alpha in it to render properly unless I have an opacity alpha map. The alpha map you see in my example I made myself from the raw image. It had the alpha directly in the image, so I pasted a black layer in photoshop underneath and turned the main texture except the transparency solid white. Using alpha in the texture as rendering alpha might be a feature in some more recent 3DSMax, but not Max 7 and under. 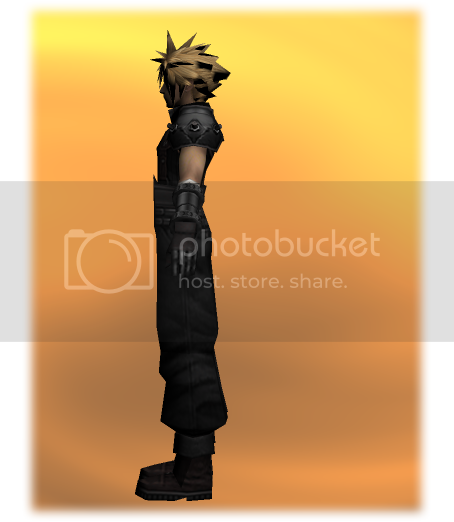 hey guys i have a suggestion, i think you must change the chocobo model or make a patch of a new chocobo model and i think you change it to cloud's fenrir, it's cool right?? hihihi what do you think guys?? Has been done before, not released. The animations for a chocobo do not suit the Fenrir, unless you want a fenrir that jiggles up and down and when it's standing still it sways from side to side. ahhh..another mod in the making eh neo? i hope u finish this unlike the last time! im so happy that you got help by some friends! that would make it better! I shall answer your question with another. The dissidia models are now available to us. 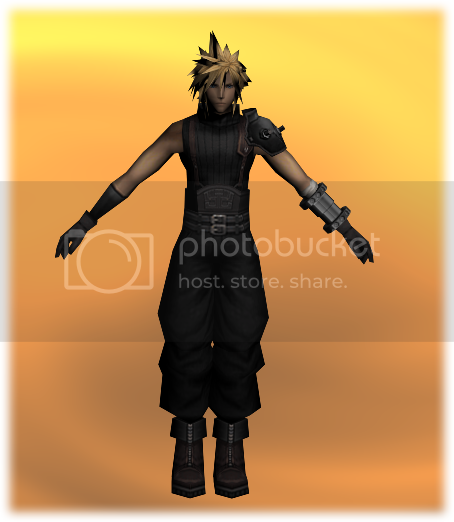 Dissidia cloud would be easier to input to FF7, and he looks a little more FF7ified. so With a little modification, anyone think we should use him? or stick with CC cloud? I think you should show both models side to side so we can compare them. 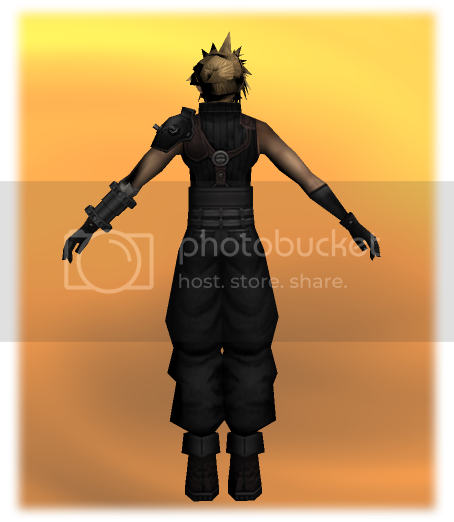 But i probably think the dissidia model would be better, in the game it really looked excellent.